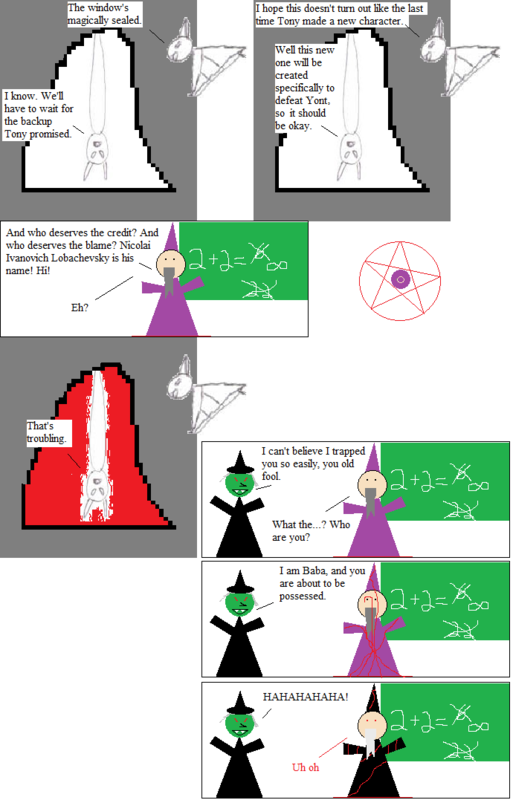 Inspired By True Events - Introducing: Baba the Bi– I mean Witch. Introducing: Baba the Bi– I mean Witch. So Tragedy asked me why everyone was standing around in this comic, and the answer is: it went on so long that I had to postpone any action. I really like Yont’s possessed look, but it makes me feel like maybe I should be adding color to the rest of the comic, like a real cartoonist would. And now: unrelated italics testing. This concludes our unrelated italics testing.